Am still reading Jared Diamond’s The Rise and Fall of the Third Chimpanzee, and still enjoying his brutally measured logic. Here I found passages concerning our understanding of how past humans behaved towards the environment (contrary to what we understand of some tribes, many destroyed their environments) and how to consider the issue from a moral standpoint. I believe it is vital to make this differentiation. (…) Today, environmentalists view people who exterminate species and destroy habitats as morally bad. Industrial societies have jumped at any excuse to denigrate pre-industrial peoples, in order to justify killing them and appropriating their land. Are the purported new finds about moas and Chaco Canyon vegetation just pseudo-scientific racism that in effect is saying, Maoris and Indians do not deserve fair treatment because they were bad? In a previous passage, Diamond mentioned how the disappearance of several large land animals from North and Latin America and New Zealand coincided with the migration of Indians and Maoris to these lands. What has to be remembered is that it has always been hard for humans to know the rate at which they can safely harvest biological resources indefinitely, without depleting them. (…) By the time that the signs of decline are clear enough to convince everybody, it may be too late to save the species or habitat. Thus, pre-industrial peoples who could not sustain their resources were guilty not of moral sins, but of failures to solve a really difficult ecological problem. Tragic failures become moral sins only if one should have known better from the outset. In that regard there are two big differences between us and eleventh-century Anasazi Indians – those of scientific understand, and literacy. Archaeology is often regarded as a socially irrelevant academic discipline that becomes a prime target for budget cuts whenever money gets tight. In fact, archaeological research is one of the best bargains available to government planners. All over the world, we are launching developments that have great potential for doing irreversible damage, and that are really just more powerful versions of ideas put into operation by past societies. We cannot afford the experiment of developing five counties in five different ways and seeing which four counties get ruined. Instead, it will cost us much less in the long run if we hire archaeologists to find out what happened the lasat time, than if we go on making the same mistakes again. (…) the American Southwest has over 100,000 square miles of pinyon and juniper woodland that we are exploiting more and more for firewood. Unfortunately, the US Forest Service has little data available to help it calculate sustainable yields and recovery rates in that woodland. Yet the Anasazi already tried the experiment and miscalculated, with the result that the woodland still has not recovered in Chaco Canyon after over 800 years. Paying some archaeologists to reconstruct Anasazi firewood consumption would be cheaper than committing the same mistake and ruining 100,000 square miles of the US, as we may now be doing. I found it particularly poignant as he mentioned Greece. In movies concerning the region, particularly from Jesus stories, you would not think that it is possible for such an arid area to sustain Israeli population as it was purported to do: allowing for religious factions to develop and young men to forgo their trades in order to follow prophetic figures, most notably Jesus of Nazareth. Such movies depict the landscape in that area as it is today. But biblical entries suggest a far more lush terrain, one of ‘milk and honey’ which allowed for the excesses of King Solomon and foreign tribes to pay tribute from as far as Ethiopia. Watching a food travelogue recently, I was also surprised to see how arid and sparse (vegetation-wise) modern-day Greece appeared. When you match it up with stories concerning the Roman empire: how the grains were able to be carried abroad in battle to sustain their fighting troops. Something is definitely off. The idea he put forth is this: That these great empires, the cradle of civilization, was so devasted ecologically by its inhabitants that they crumbled; and today we see only the shadow of what it was, because the environment that was there to allow such kingdoms to flourish are no more. Today, Israel has become a food net exporter in the region due to energy intensive techniques such as drip-farming and concentrated chemical fertilization. Technology that was not available at that time. The fact that much of that energy and fertilizer comes from petroleum should strike fear into our hearts: that our means to keep back the consequences of our way of using land could very well be used up within the next century. 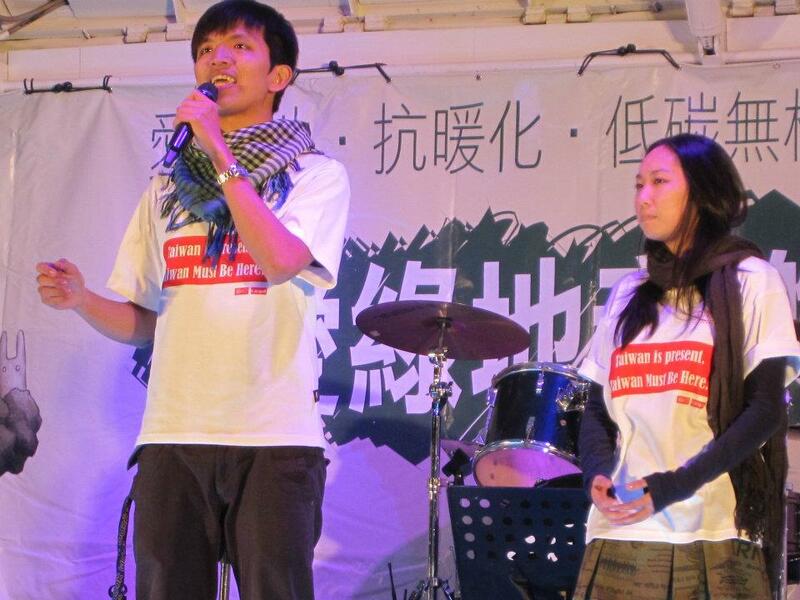 Recently Taiwan Youth Climate Coalition (TWYCC), through the efforts of Liang-Yi Chang, worked with the Taiwan Green Party in it’s recent Climate Change activities – the December 3rd (123) Global Day of Action 123全球抗暖化日行動日. As a co-Director of TWYCC, I was invited to speak at their recent press conference promoting their event in front of Taipei 101. The Green Party in Taiwan is often mistaken for the Democratic Progressive Party (DPP) in Taiwan. There are two major parties in Taiwan – the Nationalist Party (KMT) and DPP. They are mostly identified by their colors – the Blues and the Greens. Though in the past the Green Party has sometimes worked with the DPP in environmental issues as the opposition party, they are now aligned against both parties as they believe both of them have failed to make major commitments towards the environmental issues in Taiwan. In fact, the last time that Taiwan’s presidency was won by a DPP candidate (Chen Shue-Bian), he overturned many of the environmental issues that he had professed near and dear to his heart prior election. It was a disheartening betrayal to many of the local environmental groups that had supported him. The Green Party’s two main issues this year are the increase in green space per person (parks), and a valiant anti-nuke stance under the current administration’s rhetoric that counts nuclear energy as renewable. There are other issues they are pushing which I won’t go into at the moment. The Green Party is actually something of an international party movement, there are Green Parties in various countries of the world. http://en.wikipedia.org/wiki/Green_party Global Greens Network I’ve heard, for example, that the Green Party in Germany holds a great deal of sway, and was very effective in changing the country’s energy policies. I was personally against aligning TWYCC with any political groups. But upon talking to some of the Green Party people, I realized our interests are very much aligned, and they are indeed very plain-spoken people whose objectives we can (at this stage) trust. Of course, we still reserve our independence and the right to detach and attach whenever a political parties goals changes from our own, as any good NGO would try to do, especially one such as our where our influence on climate change policy is so important to our operations. So we volunteered to hold a booth at their event, plus make a live-connection to our team in Durban* on the day of the 123 parade. Since the internet connection in the hostel our youth were staying at in Durban was not very steady, we played a video our Media Coordinator Sarah Chen Lin had compiled from footage our COP17 team sent over from the event, and then skype-called Zora Tsai’s phone, our COP17 team leader. The turnout to this event were mostly people who were already involved in environmental works movement. That was a pity, since they also hosted the screening of a pretty interesting film: Growthbusters (錢鬼剋星) at the outdoors venue that night. It was not a short film. But you can’t see it anywhere else in Taiwan! The Green Party say that they have been holding 123 parades for a decade now. The atmosphere at the entire parade/fair thing was fairly relaxed and enjoyable, and we had lovely volunteers to help out! I believe TWYCC can do much more next year to promote this event to attendees, and with a good turnout, bring government attention to strong climate change related policies. 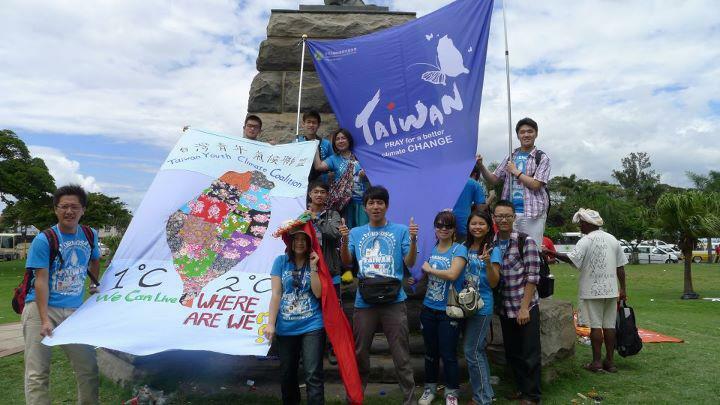 *Taiwan Youth Climate Coalition has sent a team of 5 Taiwanese youth to the United Nations Framework Convention on Climate Change (UNFCCC) – 17th Conference of Parties (COP17), and the 7th Conference of Youth (COY7), to learn, network and participate in the youth movements there. They are also there to serve as a uniting/communicating factor for all the different groups of Taiwanese youth that are sent to this event. 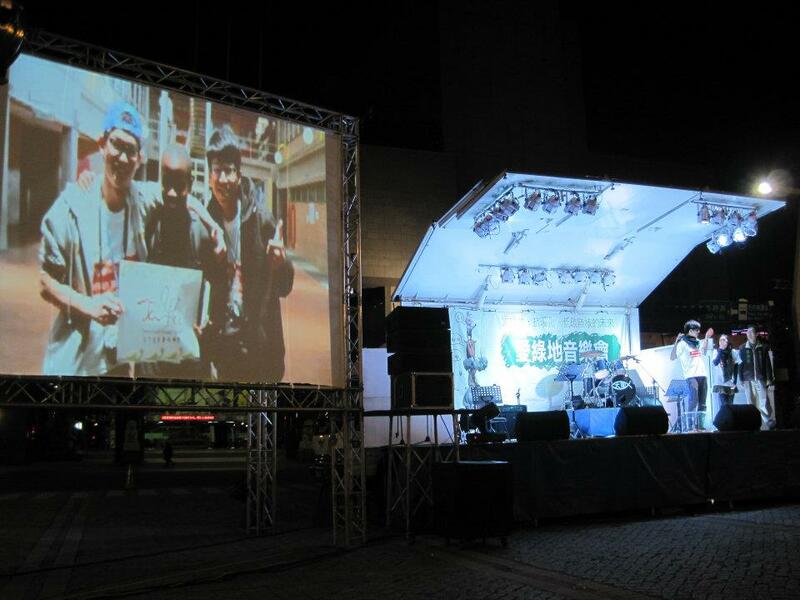 They will share their experiences with us on Dec 17th at the Youth Hub in Taipei. I hope to be able to post a link to this event soon. So stay updated! You know how it was said that destruction of the Amazon is killing opportunities for us to discover new medicines in the yet unexplored species that would die? Well, this is like that. and continue to actively and financially support anti-bottom trawling and other harmful fishing method policies whenever the opportunity arises. One of the main problems with our current economical system is that we fail to internalize externalities. What this means is – the price of a beefsteak goes beyond the stated price of a beefsteak. The production of beef comes at a higher price. But the price is ignored because a ranch owner does not have to account for the dirty manure water that seeps into the groundwater under the cow’s feet, the methane gases (farts) they emit that have a global warming potential from 25 to 72 times that of carbon dioxide (depending on how you calculate it), the ecological costs of the grazing land that could have otherwise housed a vast, dense forest that could have functioned as a carbon-sink and home to at least dozens of different species, the health costs to the humans who digest this meat raised to be fatty, stocked full of hormones and antibiotics. Then spokesperson for the beef industry, actor James Garner, underwent a quadruple by-pass surgery in 1988. 2. Listing the costs: Just as in some places fast foods are required to list their caloric content, and CO2 listing is now accepted, the efficacy of listing costs gives consumers the choice (and the guilt) to take a vote on what sort of food they want available on the market. What would you say if your next shrimp was labeled like this? 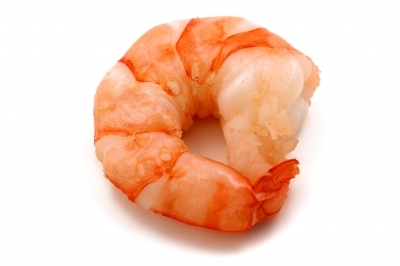 26 pounds of other sea animals were killed and tossed back for every 1 pound of this shrimp. So recently I signed a petition calling for Chevron to clean up their operations. <http://amazonwatch.org/take-action/send-chevron-a-message?&gt; While doing so, I noticed that my country was listed as Taiwan, Province of China. Annoying when that happens. I felt offended. While I don’t usually like argue about nationality in the face of much bigger issues (environmental crisis, war…etc), I felt that in the many areas Taiwan was having our territory sequestered by name, efforts like the Amazon Watch had no reason to join the game in demeaning the reality of our national situation. So I wrote them this letter. I noticed that you are the Technical Manager for Amazon Watch, so you might help me out on this. I just signed the petition for Telling Chevron to clean up the Ecuador, but was slightly turned off by needing to list my country, Taiwan, as “Taiwan, Province of China”. A lot of other online registration and petition sites I’ve been to simply list “Taiwan”. Could you please fix this? If I didn’t feel strongly about the issue, I probably wouldn’t have signed it due to the fact that the listing disrespects my origins. This is not a pro-independent/Nationalistic agenda I’m trying to put forward, nor do I wish to rock the boat in any way for your organization’s admirable efforts in helping the indigenous people of Ecuador. It’s simply a matter of feeling slighted. And very quickly I got this reply. Yay. I’m glad it’s sorted out. If you go to their petition site here <http://amazonwatch.org/take-action/send-chevron-a-message?&gt;, you’ll notice that the name is now correct! Look for the Rainforest Alliance logo! You can download a printable fish list from their link and put it in your wallet! How awesome is that? I have been reading The Bill McKibben Reader, at first because I thought it might prove advantageous for my interview to go to Mexico this December, but I gradually realized that it’s not that sort of book that can fill me with mind-bogglingly profound statistics about climate change that can wow people less acquainted with the topic. No. It’s rather a memoire of McKibben’s journey as a journalist. Not heavy reading at all. But I rather liked it and read on. I rarely read hard and fast for required tasks at hand anyway. I find the space of the unknown and unintentional so much more entrancing. Tonight I stumbled upon a paragraph that I particularly stood out for me because I happened to be discussing this with Joy today. I had, shamefaced, asked once more for her confidence. It seems sometimes when I have a matter troubling me I like to sound it off people I trust – for their love, encouragement, support and sometimes guidance when I am in dark emotional turmoil. I like to get trash out of my system as soon as possible so I can function well in the other curious states I’m in, and continue making more mistakes with a clear conscience. So I asked Joy for her confidence, and remembering that a relationship is give-and-take, asked first if she had issues which she would like to share. The thing she shared, of family troubles, came out rather on a positive note. I really enjoy her company because of the positivity she exudes. And now I was getting a glimpse into what upheld her strength of character. She said that whenever she was troubled, she would almost always find answers to her dilemmas in the Buddhist texts. She also told me about this time she meditated, how it felt to her. I was interested so far as her experience but could not remain too interested – when a person is relating her feelings it may sometimes be hard to relate to when there is not a situation at hand to imagine, and it can be bogglingly difficult to imagine how a meditation should feel like. However, she told me something I found very, very interesting. She said that there was a session of meditation she participated in that lasted for five days, and for the whole interim they were not allowed to speak, only to feel their own being. She said that during this time she came to understand why the ancient Chinese considered that the human body is made up of gold, wood, water, fire and earth. ( that’s the part I couldn’t get) She also said that you came to understand that humans are one with everything, you feel yourself as one with nature, with the universe, that all creatures are equal and everything in the universe is a part of you, and has given to you. I wondered whether there is this portion of our minds at work, or more shifted towards that direction, when our bodies are placed under constraints of stillness and our minds instructed to slow its ravenous pace… there must be an explanation for why meditation makes people feel the way they do. I’ve had meditation recommended to me by my friend Ankur before. He says it’s good for concentrating. I have fun with the way my mind goes flippy-flappy all over the place sometimes and so never got up the discipline to try meditating. I’ve had some of the same sense of dissolving into the world on days when I’ve stood staring at grizzly tracks in Alaskan mud. But I felt it much more one day in the woods behind my house. I was wandering along, happy for the exercise but lost as usual in some plan, lost as usual in my own grandness. Suddenly, the fiercest pain I’ve ever felt boiled up my torso toward my face. I whirled, staggered downslope, cracked into a tree, fell; by now I could see the yellowjackets coating my T-shirt. I ran, flicked, ran; eventually they were gone. But I could tell I was reacting to their venom. Hives popped out across my upper body. All I could think of for a minute were all the risks I’d heard dismissed by comparing them with bee stings: “you’re less likely to die by tornado/plane crash/shark attack.” But as I jogged back through the woods the few trailless miles to my house, I found those thoughts replaced by another almost overpowering urge. The urge to pray, and not a prayer of supplication but a prayer of thanksgiving. The trees had never looked more treelike, the rocky ridges more solid and rich, the world more real. The dram had somehow taken me out of myself, and though the sensation faded as the weeks passed, it has never disappeared altogether. As I tried to describe the experience to others, I would say it was the first time I had felt a part of the food chain. But that is glib. In some way it was the first itme I’d felt a part of any chain other than the human one. The first time I glimpsed the sheer overpowering realness of the world around me, the first time I’d realized fully that it was something more than a stage set for my life. Now a new-age hippie might find something creative in this and decide that a new way to experience a hallucinogenic closeness to mother earth is to get stung by yellowjackets. I couldn’t agree more with this perception, though I’d be more wary to try it. Rather, I’d like to look at records of people being stung and interview them for their experience. The closer it is to the experience the better the memory. Is it merely pain and the knowledge of the source that caused this supernatural sense of connectivity? Or was it due to something in the yellowjacket venom? Does one have to, like McKibben, have prior appreciation of nature to develop this revelation? 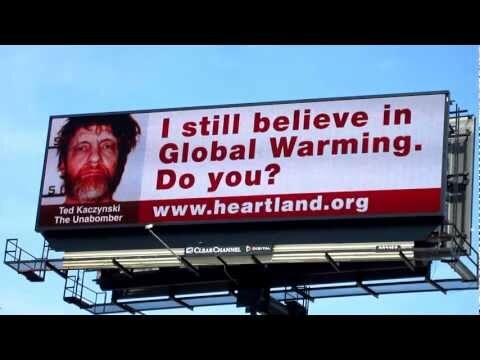 I’ve wondered why there have been polls showing a regression in American acknowledgement of climate change being anthropogenic. And then the recent one of Australians, who are considered among the best informed population of environmental issues in the world, having a rather fragile ecosystem themselves. (see Collapse, Jared Diamond with his chapter on Australia. Though in looking this up I happened upon an article that expresses some skepticism about his work http://www.onlineopinion.com.au/view.asp?article=64 which I would give the benefit of doubt until proven wrong). What we can refer to, perhaps, is by the advent of the industrial age most of England’s urban population, from which sprang most of their politicians, was living as detached from nature as it is possible to get. It is rather impossible to view us as a part of nature when raised in such a manner, and unfortunately it was this urban attitude that was propagated across the world as the best method of human survival possible. In contrast, the native American Indians were living as a part of nature and had passed down a wealth of tribal wisdom concerning how to live in harmony with nature. They were able to maintain this because they were constantly in contact with nature and reminded of their humility in the grand scheme of things. Recently on my first couchsurfing experience I went to the foundation of a man named Joseph, whose main interest was using wilderness camps as therapy for at-risk youths. After reading this passage I begin to understand a little why wilderness camps may be effective therapy. Not only is there the element of survival (as I’d read about Mira Rothenberg’s attempts to bring traumatized children into connection with society – see book Children with Emerald Eyes) that would push a child to fend for himself and develop independence, but there is also this massive humbling effect of nature that pulls us out of our petty, self-focused world into a world perhaps where we are required to act as part of the chain because it is what is natural and best. We do not push nature to do our bidding. Rather, we are part of nature and its survival is deeply connected to ours.